It took grit, luck and a whole lot of chutzpah, but Israel, a country smaller than New Jersey, is enjoying the kind of Hollywood success that could be described as a little “meshuga” — crazy. 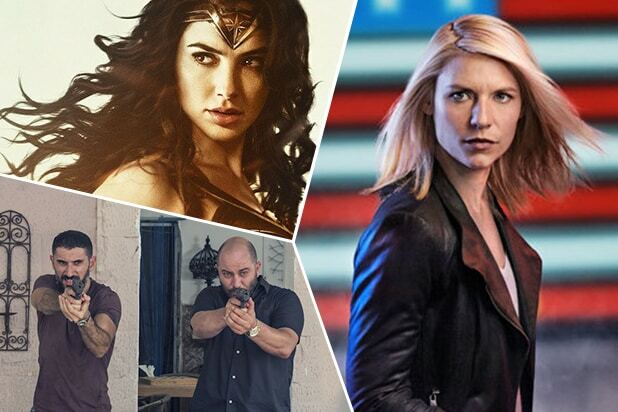 A decade after Israeli adaptations like “In Treatment” and “Homeland” put Israel on Hollywood’s radar, it is having an even bigger moment — thanks to a buzzy new Netflix drama, an exploding global production and distribution empire, and a cultural phenomenon called Gal Gadot. Berkowitz, who’s packaged and sold some of TV’s most iconic shows, including “Seinfeld,” “Everybody Loves Raymond,” and “House of Cards,” also serves as Israel’s unofficial ambassador to Hollywood, putting together deals to adapt Israeli shows to the U.S. market. His most recent acquisition, “Fauda,” about an elite Israeli undercover commando unit operating in the West Bank, was bought by Netflix in 2016 and has quickly garnered a fierce following around the world. 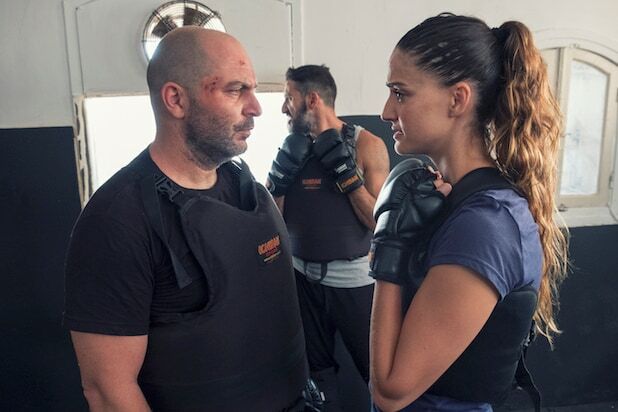 “Fauda” (which means “chaos” in Arabic), somehow managed to break out of the dark corners of Netflix’s foreign-language section and get noticed by both Hollywood heavy-hitters and New York Times critics. “‘Fauda’ shows the Israeli-Palestinian conflict from both sides, plus it’s fantastic TV,” Berkowitz said. It’s hard to say how many people have actually seen “Fauda.” Netflix is notorious for keeping its viewership numbers confidential. But the phenomenon has fans among both Israelis and Palestinians, who aren’t known for agreeing. It’s already made its star and creator, Lior Raz, one of the hottest tickets in Hollywood. He’ll make his English-language debut in the upcoming “Mary Magdalene,” alongside Rooney Mara and Joaquin Phoenix. He’s also been cast in MGM’s Nazi thriller, “Operation Finale,” with Oscar winner Ben Kingsley. He’s got a Netflix straight-to-series order and a second project, “Hit and Run,” in development. “Homeland,” an Americanized retelling of Gideon Raff’s hit show “Hatufim,” or “Prisoners of War,” remains Israel’s most successful export to date. Raff’s original version was later sold to Hulu and more than a hundred countries around the world. “Fauda” had a much softer launch, selling only in its original form. Netflix purchased the rights to it as part of its effort to boost international subscribers. It was made available globally in Arabic and Hebrew, with English subtitles. Benasuly-Amit, who also produced “Prisoners of War,” said there is a “crazy energy” in the Israeli entertainment world right now. “I’m getting calls from all over the world from producers who now want to collaborate with us,” she said. The change didn’t happen overnight. But as Forbes recently pointed out, Israel now ranks as the third largest international provider of content on American TV, behind the U.K. and the Netherlands. It started with “Be’Tipul,” a drama about the personal and professional life of an Israeli psychologist, which was later remade into “In Treatment.” The show, starring Gabriel Byrne, ran on HBO from 2008 to 2010 and won several Golden Globes Awards. “Homeland,” which premiered on Showtime in 2011, became a critical and commercial hit and won dozens of awards, including two Golden Globes and two Primetime Emmys for Best Drama. It was recently picked up for an eighth and final season, with its current season averaging 4.4 million viewers per week, according to Showtime. Dubbed the “Startup Nation,” Israel has already established itself as a formidable player in the global high-tech arena (think Waze, Mobileye, Wix). With a population of about 8.5 million, it has the highest per capita number of startup companies in the world, and is second only to the U.S. in absolute numbers, according to Forbes. Like Israeli tech companies, Israeli content producers are aiming beyond the country’s tiny domestic market in order to make a profit. A big part of the reason Israel has been so successful selling formats and shows around the world is the fact that its projects are done on a shoe-string budget. Israel has several successful production companies. But Keshet, which owns two Israeli TV networks as well as one of the country’s leading news sites, is by far its largest content, distribution and production company, with offices in Mexico City, Hong Kong, London, Tel Aviv and Los Angeles. Keshet International has sold hundreds of its projects to outlets around the world, including dozens to U.S. networks. Keshet’s annual INTV conference in Jerusalem draws some of Hollywood’s most powerful players. This year’s event, which starts Monday, will include Casey Bloys, president of HBO programming, Andy Harries, executive producer of “The Crown,” and Showtime president and CEO David Nevis, among others. Not every Israeli format has hit it out of the park. “Traffic Light,” based on the Israeli sitcom “Ramzor,” got a red light from Fox after one season and ABC’s “Rising Star,” a remake of Israeli format “HaKokhav HaBa,” failed to gain altitude. It’s unclear whether NBC’s “The Brave,” a thriller from Keshet Studios and “Homeland” executive producer Avi Nir, will come back for a second season. But other projects have momentum. 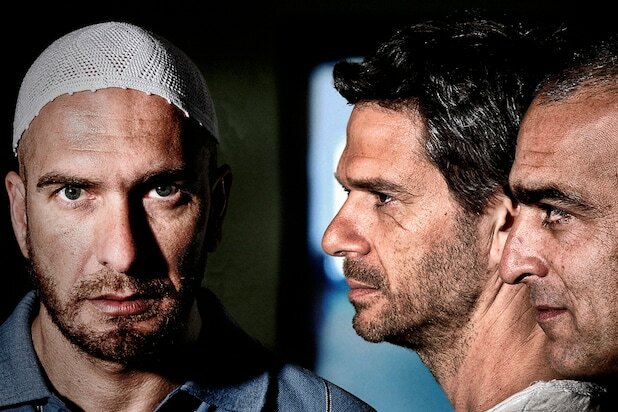 Last year, Keshet’s “Lihiyot Ita,” packaged as “The Beauty and the Baker,” was acquired by Amazon Prime, after being sold to the UK, Greece and the Netherlands. HBO recently green-lit another Keshet show about the kidnapping and murder of three Israeli teenagers in 2014. The 10-episode scripted series will be produced by HBO’s ex-boss, Michael Lombardo. Last month, NBC gave a pilot order to drama “Suspicion,” from “The Path” creator Jessica Goldberg, Universal TV and Keshet Studios. Keshet also set up the drama “Skinny Dip” at The CW. More Israeli formats are coming down the pipeline, including “Euphoria,” an HBO adaptation of an Israeli teen drama, and “Emmis,” an adaptation of “Shtisel,” an Israeli drama that was sold to Amazon Prime about an ultra-Orthodox brood in Jerusalem. “Zero Motivation,” a 2014 Israeli comedy about female Israeli soldiers is being adapted by Amy Poehler and Natasha Lyonne, “Greenhouse Academy,” based on an Israeli tween series “Ha-Hamama,” recently dropped its second season on Netflix and “The Good Cop,” based on an Israeli format, received a straight-to-series order from Netflix and will star Tony Danza and Josh Groban. While nowhere near as influential as its TV industry, Israeli cinema is also poised to take a bite out of the Hollywood pie, with a number of Israeli filmmakers setting their sights on America. Israeli director Joseph Cedar, whose films “Beaufort” and “Footnote” were nominated for Oscars, has recently screened his latest movie, “Norman,” at Toronto International Film Festival. The Israeli-American co-production stars Richard Gere, Steve Buscemi, Charlotte Gainsbourg and Israeli actor Lior Ashkenazi. “Mercy,” a lesbian drama by Israeli director Tali Shalom Ezer starring Ellen Page and Kate Mara, is currently in production. While Israel has yet to win an Academy Award, ten Israeli films have been nominated for the Foreign Language Oscar, making it one of the top ten most nominated countries of all time. Israel’s latest Oscar entry, “Foxtrot,” about a family grappling with the loss of their son at war, was one of nine films named by the Academy to the shortlist, but the movie failed to make the final round. At least Israel has Wonder Woman. When Jimmy Kimmel decided to thank movie-goers with a surprise live visit to a theater during the 90th Academy Awards ceremony this month, he made sure to corral some of Hollywood’s biggest names. The group included such A-listers as Best Actress nominee Margot Robbie, Lupita Nyong’o and Gal Gadot. Ever since she landed the role of Wonder Woman in 2013, Israelis have been kvelling like a Jewish mom on medical school graduation day. Last year, “Wonder Woman” was the third-highest grossing film in the United States. Gadot and, to a certain extent, Raz have proven that Israeli actors can be wildly successful in Hollywood, something that seemed almost unfathomable a few years ago. There have been other Israelis who have made strides in Hollywood, including Ayelet Zurer, best known for playing Superman’s mom in 2013’s “Man of Steel,” and model Bar Refaeli. But none have come close to Gadot’s level of success. Still, several Israeli actors are already carving a path in Hollywood, including “Imposters” star Inbar Lavi and “Jane the Virgin’s” Yael Grobglas. Shtruzman believes Gadot’s success could help open doors for more Israeli actors in Hollywood.